In 1980 Maxwell Melvins was sentenced to live in prison for murder and would serve his time in the maximum security penitentiary in Rahway, NJ. In between meals and lifting weights, Melvins had time to reflect on his mistakes and longed to find away to right his wrongs. Unfortunately for Melvins Jesus has a patent on the whole resurrecting thing, so bringing his victim back to life wasn’t an option. What Melvins decided to do instead was become involved in the Lifers Group Juvenile Awareness Program (also known as Scared Straight), which invited juvenile delinquents to spend a day in prison so they could witness first hand the grim reality of life in prison and scare the devil out of their bad asses. Melvins would eventually become the president of the program, but wanted to take the scared straight idea to the next level. What better way to accomplish this then to created a hip-hop project, right? Melvins formed the Lifer’s Group which consisted of 14 members, all serving time in Rahway for serious crimes. The groups mission: to demythologize the romanticism of prison that often informs rap music. Somehow, even behinds bars, Melvins was able to shop his idea to different labels with no success, until he finally got the attention of late Hollywood Basic label head, David “Funken” Klein, who would give the Lifers a chance. Klein brought in a portable studio and within three weeks the Lifer’s completed their debut EP #66064 , which is a shout out to Melvins’ prison number as he wa the brainchild of the whole. The EP allegedly sold 50,000 units, which gave Hollywood Basic some faith in the group as they would release a full length album a few years later (Living Proof), before coming a footnote in the annuls of hip-hop. I happened upon this EP a few years ago while on one of my frequent visits to the used cd bin at a local pawn shop. I vaguely remembered a video from the group and an article in The Source about the project, and since it was only as buck, I took a chance on it. I’ve never listened to the EP before. The Real Deal – The album opens with a greeting from Melvins, AKA 66064, instructing the listener to help keep their exclusive membership low. The drums drop before Aleem, Knowledge Born, Amazing G, B-Wise, Original, Rocky D, and Chuck X each spit a verse sharing with the listener what activities led up to their incarceration or their personal experience since moving into this gated community. With a runtime of just under 6 minutes and its reoccurring themes of a “cell is hell” and repeated reminders to “never drop the soap”, this song is too long. Is it just me or does Rocky D (the second to last verse) sound like an incarcerated version of Ice-T? The Dr. Jam and Phase 5 (yeah, I never heard of them either) instrumental was pretty decent, but none of the inmates serve it justice. No pun intended. The Real Deal (Radio Edit) – Just in case the original mix of “The Real Deal” was to “real” for you, here’s the edited version. Belly Of The Beast – Goldie Boone, aka #59119, opens this one by introducing himself as “one of the ones who didn’t listen”, as he’d been incarcerated 14 years by the time this was recorded (Goldie was 52 in 91′, which would make him 75 today. I’d be interested to find out how life has treated him over the past 20 plus years. If anyone has the inside scoop, hit me in the comments). The same inmates that rapped on “The Real Deal” also get a shot on this one, along with three more members: Merciful, Maxwell, and Almighty L. “Belly Of The Beast” is more of the same themes from “The Real Deal”, making the verses in the two songs pretty much interchangeable. Once again, Dr. Jam and Phase 5 provide a decent instrumental but the Lifers Group’s verses are underwhelming. Belly Of The Beast (Radio Edit) – Same as original with the curses bleeped out. Nightmare Man – Crazy Chris, aka 62098, spits a quick spoken word describing his prison persona: the nightmare man. That’s all I got. Suckers Edit – This one recycles “The Real Deal” instrumental and adds a few of the inmates vocal snippets taken from Scared Straight interventions. Inmates Big Al, Commander, and Ron share some powerful words that would make any inspiring gangsta reconsider his career path . This is easily the strongest piece on #66064 , which is sad considering its only an interlude. The Real Deal (Big Bass Instrumental) – I’m not sure if the bass sounds any “bigger” on this mix than the original, but…whatever. Belly Of The Beast (Instrumental) – Plays exactly like it reads. Bonus Beats – This is basically the last few seconds of “Belly Of The Beast” with fellow inmates Gentlemen of Distinction singing the same refrain from the “Belly Of The Beast” acappella. Considering its acapella, this was a strange song title, and an even stranger way to end this maxi single disguised as an EP. Kudos to the Lifers Group for sharing their stories in hope that it would deter troubled youth from making the same mistakes that landed them behind bars. Their intentions were good, but the results were not. The instrumentals on 66064 are average at best and won’t stick to your bones after your done listening to them, but the bigger problem with#66064 is the rapping. 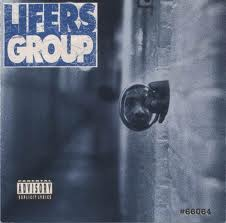 The Lifers Group’s rhymes may be heartfelt, but they lack personality, soul, and more importantly, skill. In order to save the troubled youth, you first have to gain their attention, and unfortunately #66064 doesn’t cut it. Not today or yesterday. Just because you have a testimony doesn’t mean you should emcee. And every brother with a criminal record shouldn’t be a gangsta rapper. I bought the Real Deal when it came out back in the early 90’s. Bought the seconds album too and it wasnt as good , had a song like Jackin 4 Beats , but not even as close to being as good as Ice Cubes. Phase 5 and Dr. Jam are from Denmark. Dr. Jam produced in the early nineties tracks for Ice Cube, Eazy-E and MC Ren among others including the incredible “Mayday on the front Line” from the CB4 soundtrack. The Lifers Group’s project had a huge impact on my life. When I was released from prison I played both releases constantly. I give Maxwell Melvins a lot of credit in helping me become who I am today a prisoners rights activist. I felt every word of every track. I could relate and it helped me get my life back on track. For being recorded in Rahway State Prison of all places on a 4 track recorder I think they did an awesome job. The messages were received by me and many more. This review is an injustice! Hey Capital X – The beautiful thing about music is that it’s very subjective, so two people can listen to the same album and have completely different opinions, based on their tastes and circumstances. I appreciate your passion, and thanks for reading!